I have been seeing a lot of Galaxy type backgrounds lately and I thought it would be fun to give it a try and create a card with this technique. 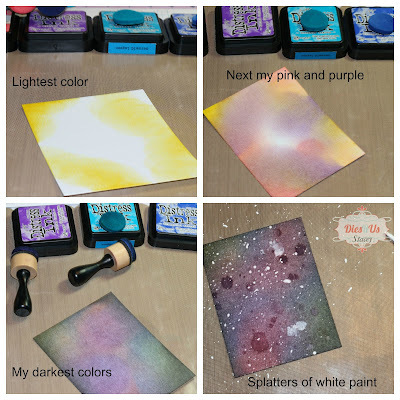 I started out by gathering all my distress inks that I wanted to use. The colors of distress inks that I used were: Mustard Seed, Worn Lipstick, Wilted Violet, Mermaid lagoon, Blueprint Sketch and Black Soot. 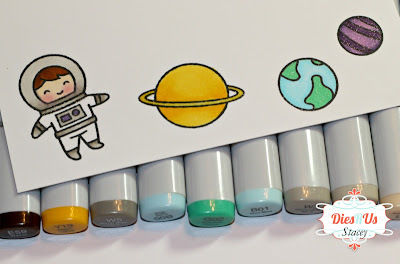 Next I stamped my images from the Lawn Fawn Out Of This World stamp set and colored them in with my Copic markers. Please forgive the dark pictures, it was night when I was creating this card. Next up, I used the coordinating Lawn Fawn Out Of This World dies to cut out my stamped images. 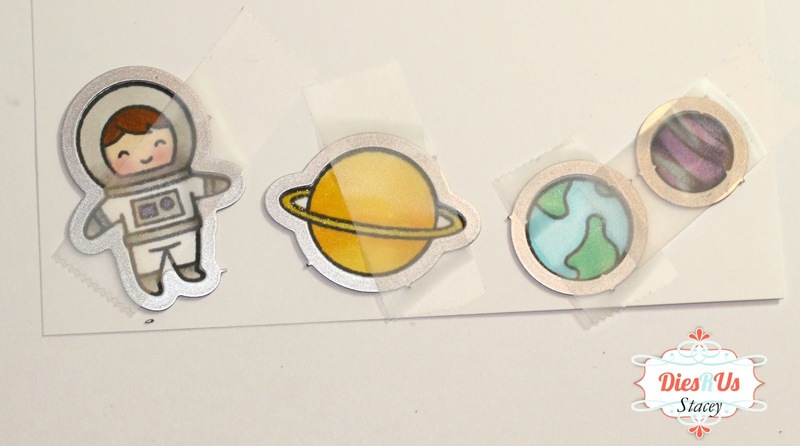 To create my moon, I free hand cut a domed shape and used a hole punch to cut out some "craters". I placed some cardstock behind the moon a little bit darker so that the holes had some dimension. 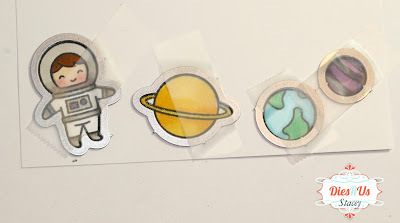 I popped up my astronaut and planets with some foam tape and added a bit of shimmer to my vellum for just a bit of sparkle. What a perfect background. Very cute card! this is super cute! Great job on the background fur sure! Oh Stacey this is so cute and awesome background! Sure to bring a smile! 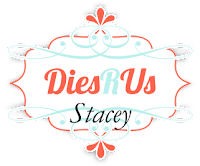 Fabulous, Stacey! Your background looks amazing. Worn Lipstick and Mermaid Lagoon are two of my favorite Distress Inks. 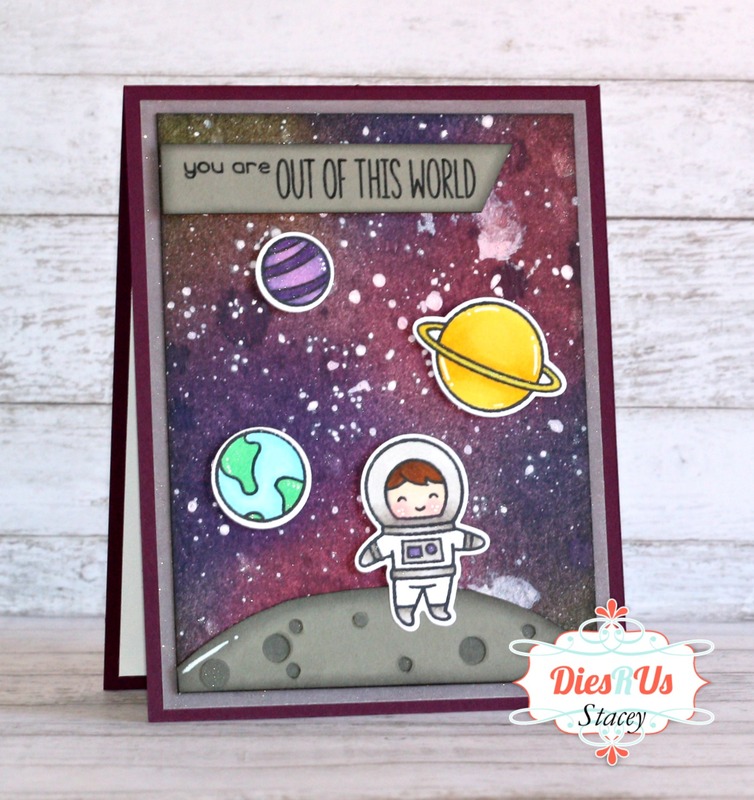 Wonderful card that brings beck so many memories of that first time to the moon! I remember it like it was yesterday. Adorable! Thanks for the step by step of creating the background. How did I miss this card? love it! great galaxy background!